One of the main advantages of every online advertising channel is the measurability of results. When a company invests money in advertising, the goal is to target the right people, convert them into customers, have a positive ROI. Media outlets, communication agencies and large adv investors need to manage thousands of different ads, in different formats, event rich-media ones, and they need a large number of real-time reports. To be efficient they necessarily have to use a professional (and often expensive) AD server. In the case of Wi-Fi local hotspots there’s no actual need for an AD server. With a simple, free, online tool like Bit.ly you can track your ADV results without spending a penny! When you log in to your account, you see the list of the URLs that you shortened, and you see for every image the traffic and the number of sharings. You then see how many views your image had, and at which time of the day (by each day, week, last 14 and 30 days, all time). In the following example, the selected image had 3 clicks in the last 24 hours, all of them at 12PM. 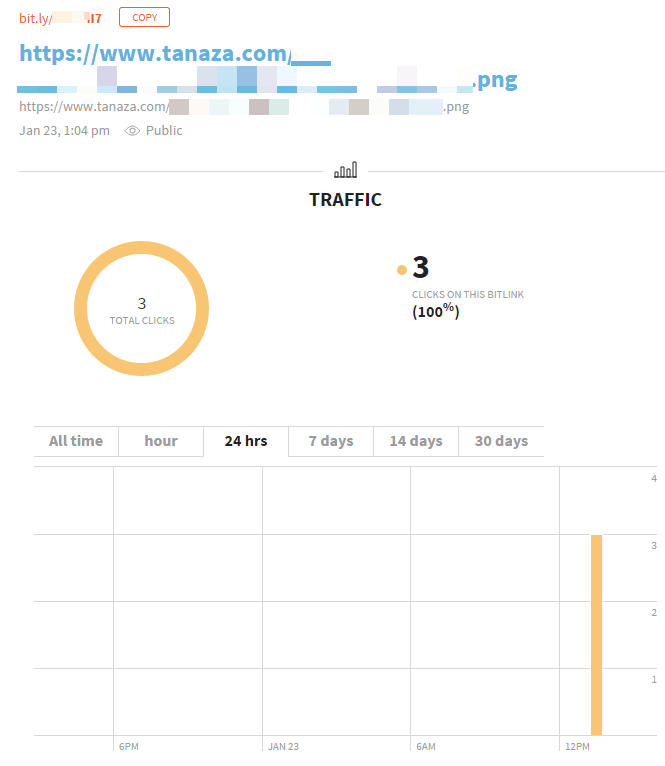 In the following example, you uploaded 2 images, and they had 4 total clicks (in the past 7 days). In the last hour you had 2 clicks (12.26PM, 1.02 PM). Both are from the direct source (Wi-Fi splash page) and from Italy (because we are testing this tool from Italy). If you want to know which device the user owns, you can do it using the “Audience Discovery – Insights” tools by Bit.ly (coming soon, only for Premium Accounts) – but this won’t be for free. In Bit.ly free edition, you have a limit of 10,000 shortened links (that means: 10,000 advertisements!). 1) Sign up or log in to your cloud.tanaza.com account. Create a new SSID with Tanaza Splash Page. 2) In the editing page, go to the “Advertisement” tab and select “Force view of an image on each access on the splash page”. 3) In the field “Advertisement image URL” copy your image’s Bit.ly URL. Users will see your image ADV before the authentication page, and you can check the number of views in real-time! You can show up discounts, promotions and offers, coupons also AFTER the authentication process, if it’s made through the splash page. 3) Create a webpage including discounts, coupon, useful and contextual info. Or create a simple coupon as a jpg or png image. For example, in a restaurant, you could create a webpage about “Today’s specialities” + a coupon “Save 50% for desserts”. Or a simple coupon “Save this coupon to come back by 12/31/2015 and save 50% on your next dinner”. 4) Shorten your URL with bit.ly. Copy and paste it in the “landing page” field… and it’s all done! Users connecting to your Wi-Fi network will be redirected to the landing page after the authentication. 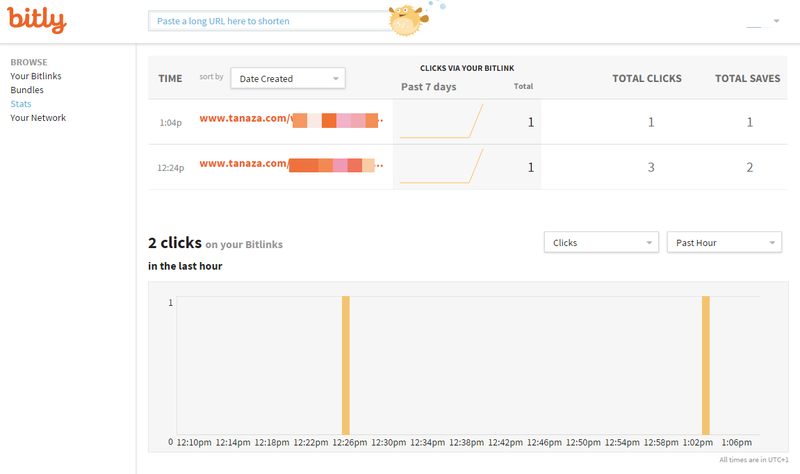 Check the number of views and clicks on your landing page in real-time!